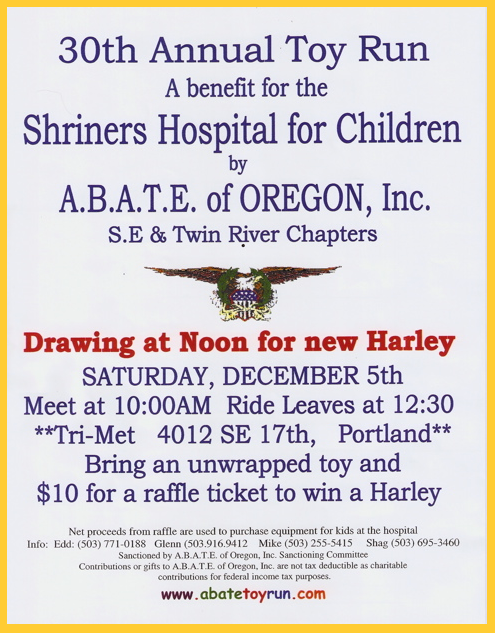 An unusual clear and brisk December day in the Northwest meant a huge turnout for the ABATE Toy Run. 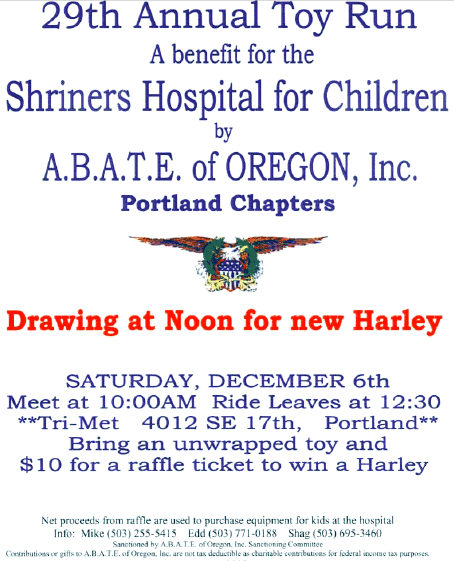 Thousands of donated toys this Christmas will make it a little brighter for the kids at the Portland Shriner Hospital. 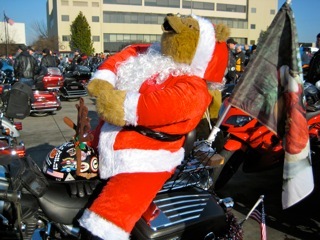 All types of motorcycle enthusiasts riding BMW, Ducati, Harley-Davidson, Kawasaki, Suzuki and Yamaha were in attendance to donate toys for the kids. 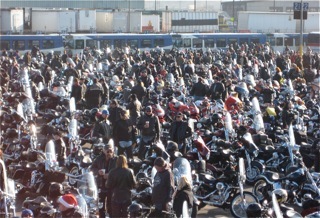 Small groups of riders started gathering about 10 a.m. at the Tri-Met parking lot at 4012 S.E. 17th Ave. Everyone brought toys and filled a city bus! Though several riders/groups belonged to motorcycle clubs, an affiliation wasn’t necessary to join the procession. Congrats to ABATE of Oregon for a successful event, to Tri-Met and a shout out to all the volunteers and LEO’s who helped make this event truly special. 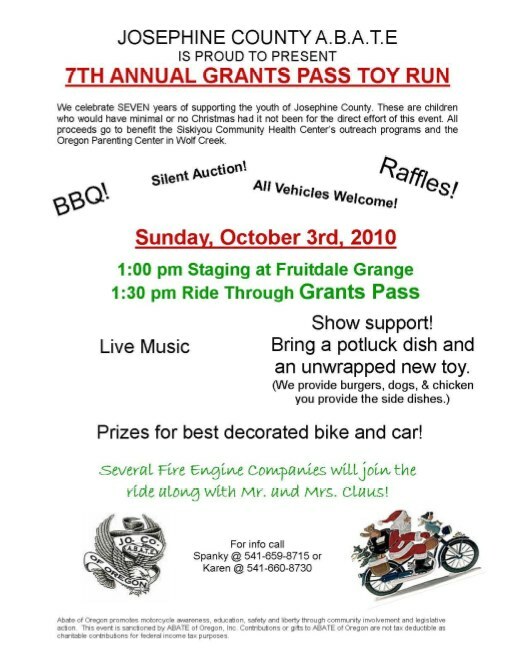 And thanks to all the riders who gave something back to the community. 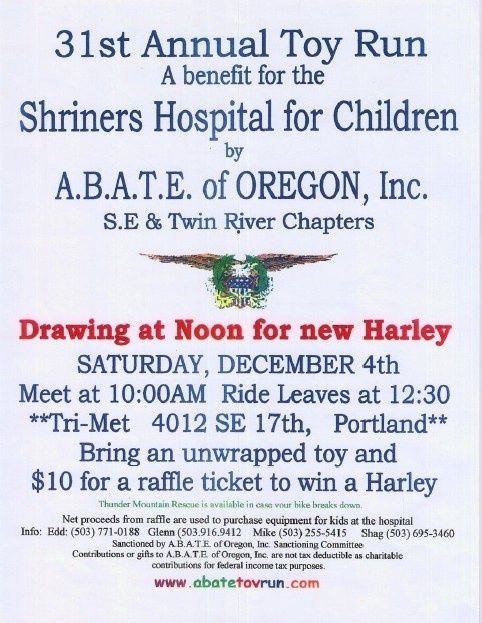 UPDATE: Local TV channel KATU captured video of the rider’s arrival HERE at the hospital.